I’ve published a new pattern to Ravelry, Loveknitting and Etsy!! The Vintage Snug Hat! A chunky knit hat with a double thickness brim and a little bit of vintage buttoned style! 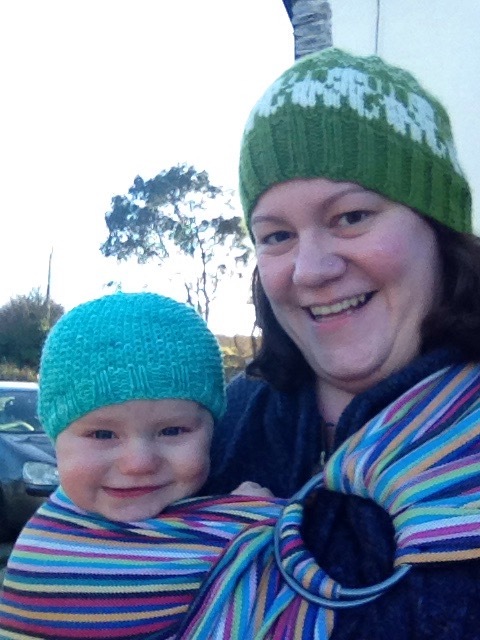 I’ve been busy writing up the pattern for William’s new hat! Just about managed to get a photograph of it on my mini model before he hoiked it off!! Happy New Year and some finished knits!! Towards the end of last as usual I wasn’t able to post any of my finished knits because they were all Christmas presents!!! Now I forgot to photograph them so I’m getting photos of some of them sent hopefully on/by the giftee!!! 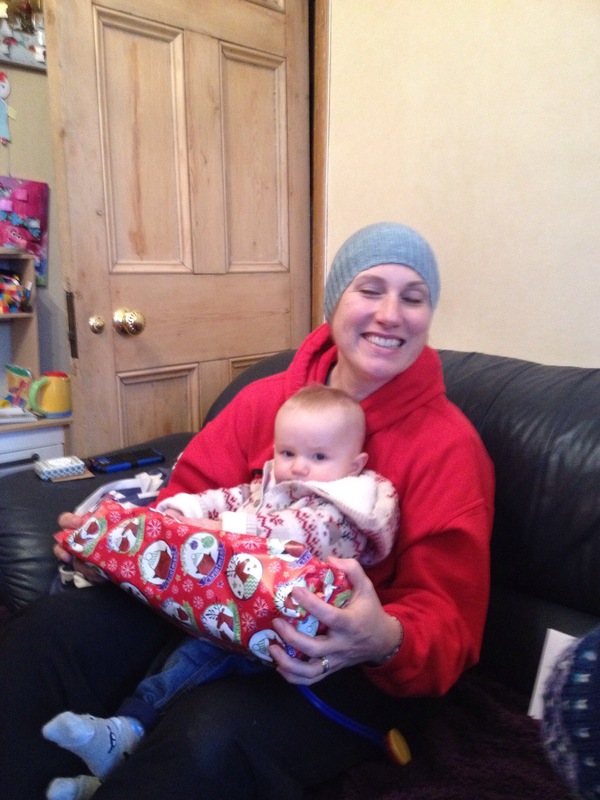 We have two Sockhead hats!!!! 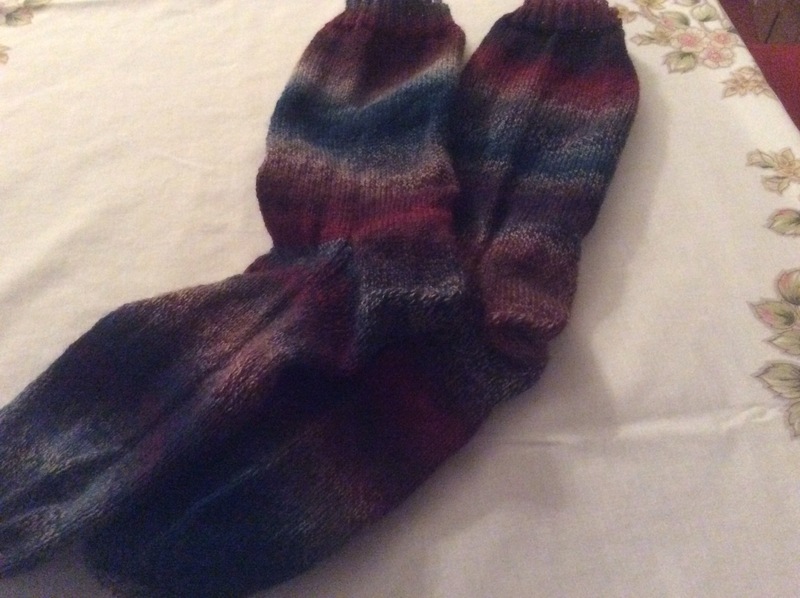 A great easy knit by Kelly McClure on Ravelry!! 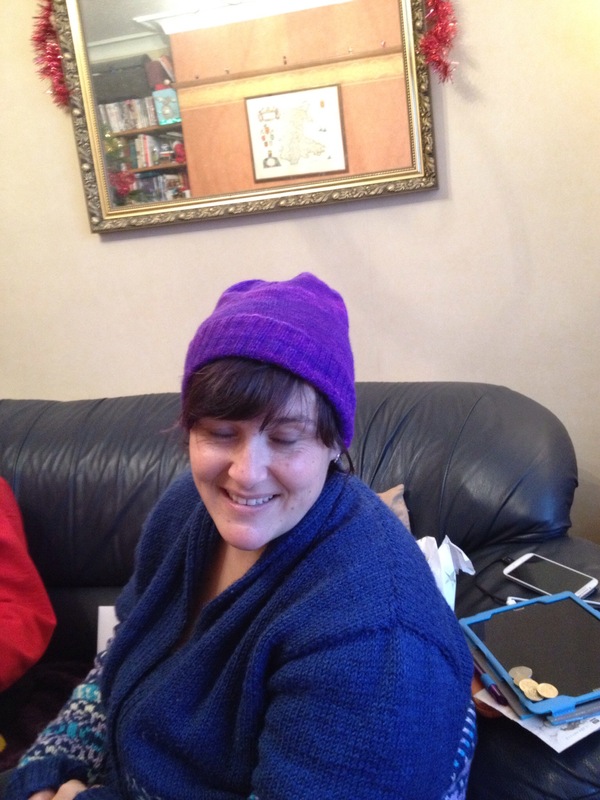 Modelled by the very lovely Owl About Yarn and Pinsandneedles at our little pre Christmas meet up to exchange presents!! 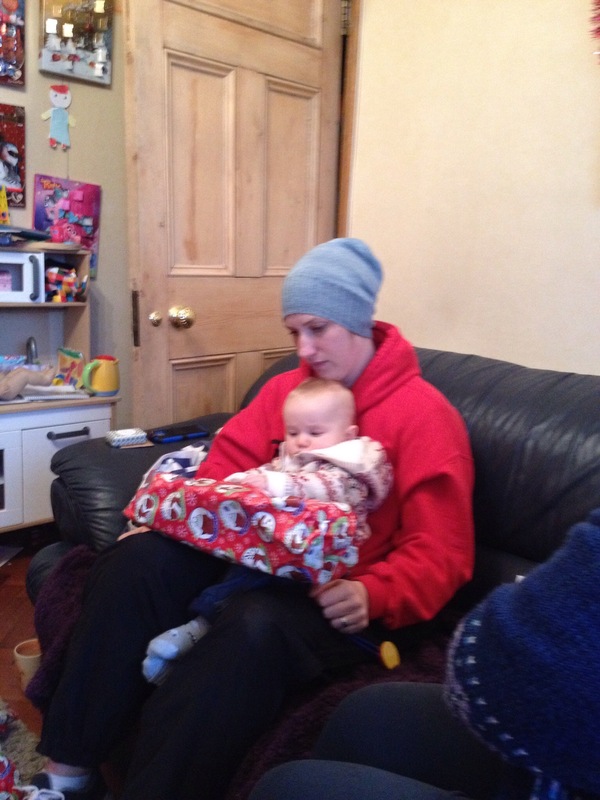 Cheeky chops is enjoying opening his first gifts sat on Zoe!! 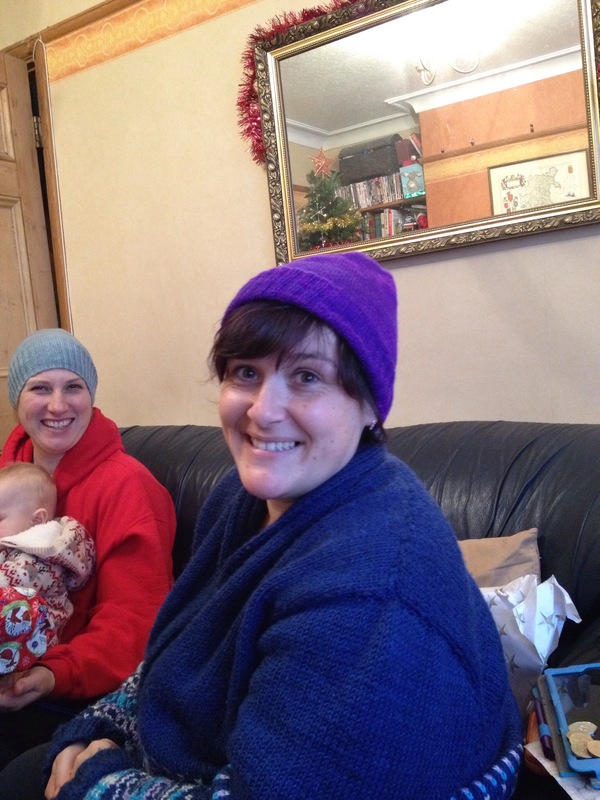 Zoe’s hat is knit up in Rainbow Heirloom and Jennie’s is in hedgehog fibres!!! I have another skein of hedgehog fibres I acquired on the 2016 Great London Yarn Crawl to knit myself a Sockhead soon!! I sooooo want me one of these!!! I have the yarns in stash and will knit one this year!!!! And probably one for cheeky too!! My Dad’s traditional socks for Christmas!! These are knit up from a crazy zauberball I bought in Loop in London!! I am still working on poor James’ Christmas socks also in a crazy zauberball!! I am also determined to go through and finish all my many many WIPS!!! 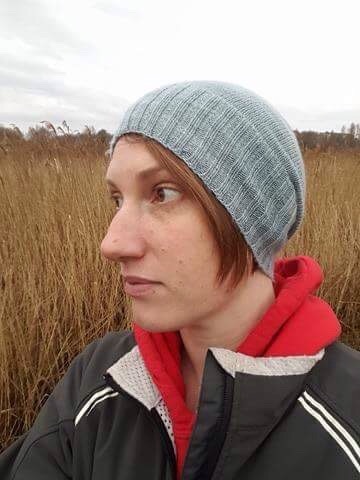 I am hopefully going to try my hand at a Wee bit of podcasting which will probably end up being monthly at least for the first half of the year…. And this is hopefully the year we make the move to the farm!!!! 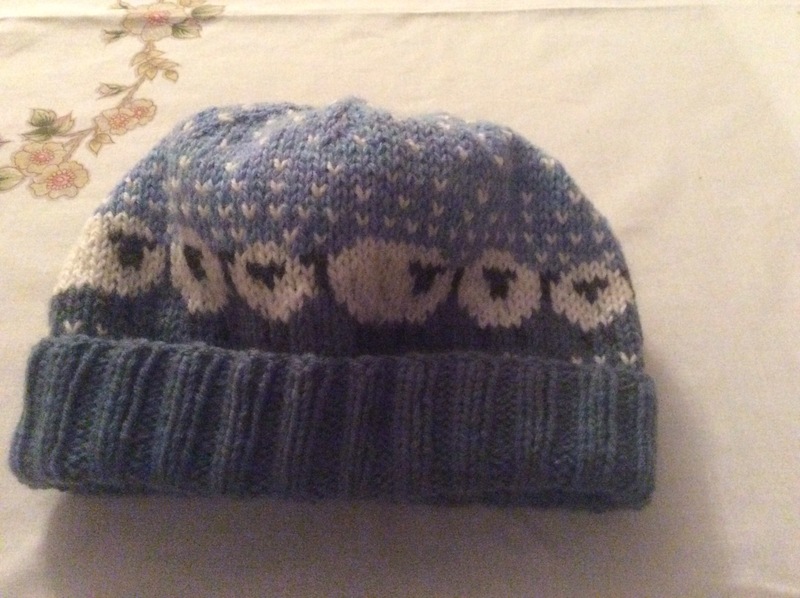 To finish off this update….. Another end of last year knit is Chreky Chops’ hat!! Which he already needs another new one of!! He is growing sooooooo fast!!!!!! 9 months old on the 14th!! !